This weekend players can spend 17 Strange Coins on the Universal Remote shotgun. Hunters can grab the Khepri’s Sting gauntlets, Titans can pick up the The Glasshouse helmet, and Warlocks can purchase the Sunbreakers gauntlets which all cost 13 coins. 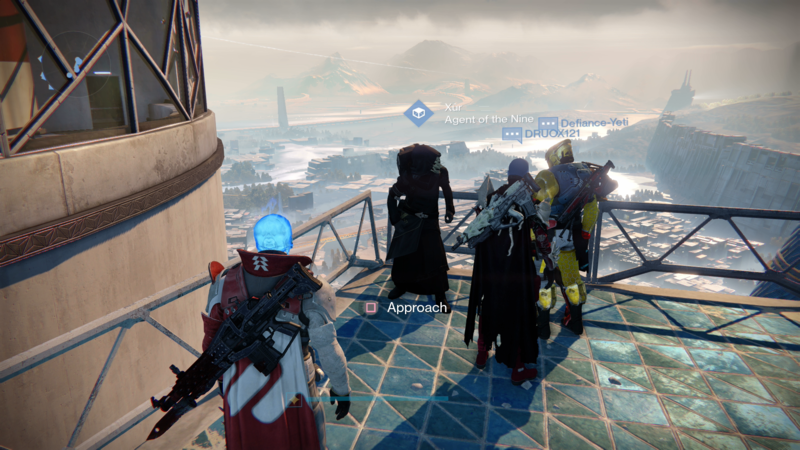 For this week, Xur – Agent of the Nine can be found in Tower North, near to the Speaker. In other Destiny news, Bungie has promised to enhance its recruitment forum and add features to the game’s companion app that will make it easier for players to find groups.